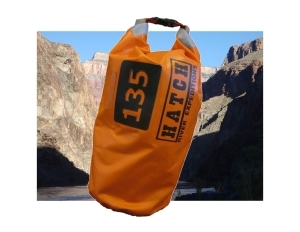 At Hatch, we do our best to ensure that you’ll have everything you need on your trip. After all, we don’t want something small like the wrong kind of shoes to bring you down! But, every guest is different. An item you consider optional might be a necessity to someone else on your trip. To that end, we’ve decided to share some of our guests’ suggested items. You never know which one might make or break your own river rafting adventure! Bring a wet suit, neoprene pants, and/or a paddling jacket to stay warm and dry in those splashes. Use a space blanket to warm yourself up in chilly areas. Use Bengay or BioFreeze for to ease sore and aching muscles after the hike. Bring a light for your early morning departure (especially early in the season when the sun rises later). Your head lamp should do fine. Instead of only shorts, bring a fabric wicking skirt with tights—it accomplishes the same job but gives you an opportunity to show some femininity. Bring a sundress to wear in camp at night. A small bottle of bug repellent can help deter the handful of bugs that might like to see how you taste. Hair detangler and a wide-toothed comb or wet brush—since you won’t have access to a proper shower, this could be a lifesaver for the long-haired among you. Super glue for cracked fingers—while at Hatch, we try to recommend products like hand salve and lotion to keep your fingers from cracking as they go back and forth from wet to dry, one guest felt this would be a good solution if those measures fail. Night time pee can—per the National Park Service, all of your pee should be going directly into the river, but some guests have trouble getting up and to the river at night. Some have found bringing a disposable container they can use at night and then dump in the river in the morning worked well for them. For the vision impaired, we’ve heard there are some brands of contact lenses you can wear long-term – not putting in/taking out contacts every day means less chance of getting sand in them (and sand has a tendency to get in EVERYTHING in the canyon eventually). Your waterproof sandals should strap to your feet and have good tread. You’ll likely be wearing them on at least some of your hikes. Your rain gear should be waterproof with elastic or Velcro on the sleeves and pant legs. This isn’t just for the possibility of rain, but also to keep you dry in the rapids for those moments when you aren’t up for being soaked. Poor quality rain gear will leave you wet anyway! Gloves can be worn for: climbing over hot rocks on your hikes, holding onto the ropes on the boats, and keeping your hands out of the direct sun. Make sure if you use them, you bring something versatile enough to do all three jobs well. If you are on the fence about an item, but aren’t sure how much you’ll really use it, bring it. It’s better to have an important item and not use it than not have an important item you need. Anything you pack has to be hauled onto and off of the raft every day. Don’t leave essentials/possible essentials behind, but the lighter you keep things, the happier you and your travel companions will be when your bag makes it up duffel line.